Summit Available on Amazon and B&N! The Nook edition is available here. I’ll get it onto other sites sooner or later. I’m charging $2.99, which I figure is somewhere between “It’s so cheap there must be something wrong with it” and “It’s so expensive it can’t be worth it”. 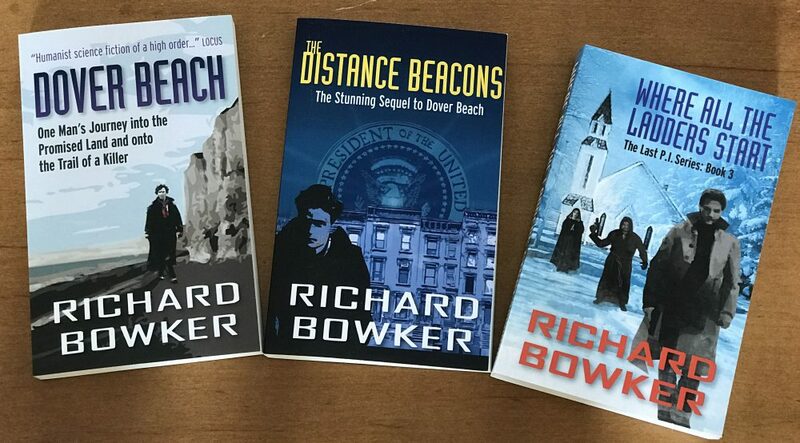 Don’t be tempted to buy the used paperbacks also on offer. They won’t give you the same quiet sense of satisfaction you’ll get knowing that some of your money is going to the author in return for his hard work in perpetrating the novel. This entry was posted in Writing by Richard Bowker. Bookmark the permalink. It’s odd nowadays to think of a computer company that size (maybe of any size) having a library and a librarian.